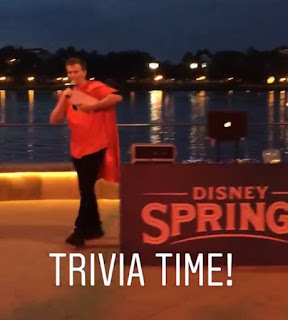 My family and I love to watch new Disney movies at AMC Disney Springs! They always seem to add extra magic to the movie watching experience. 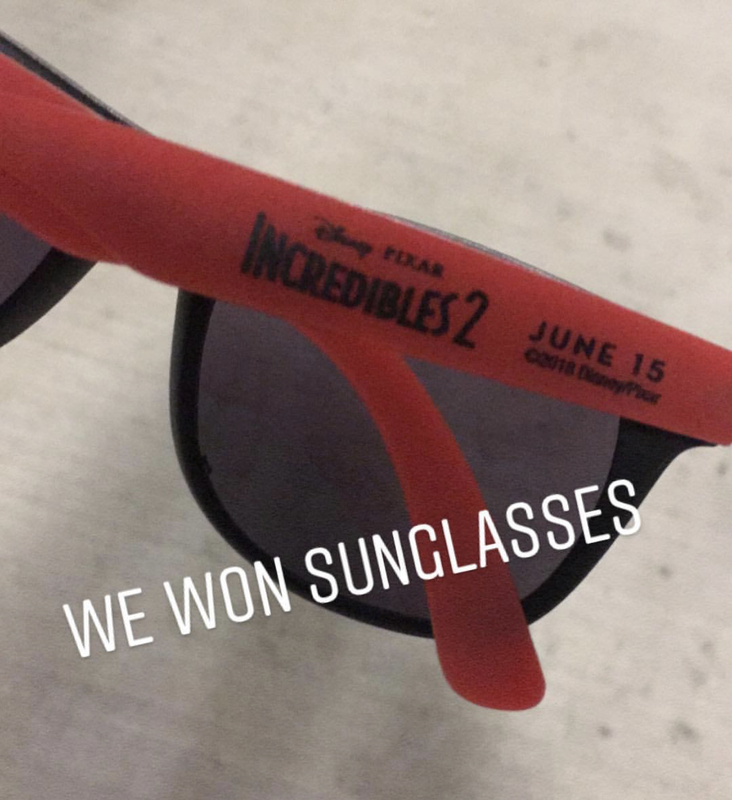 We purchased our movie tickets for "Incredibles 2" three weeks in advance to make sure we had seats for the opening night. (By the way, if you live in the Orlando area, I recommend the AMC Stubs rewards program.) We arrived at the theater early to explore the backdrops. One great backdrop was set up outside the theater. 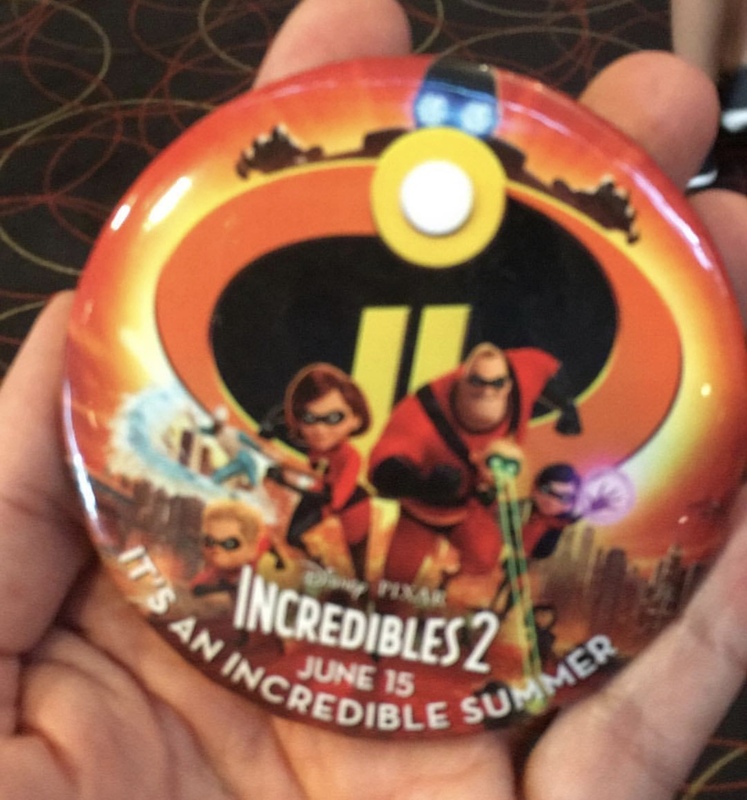 We received a special commemorative pin inside the AMC movie theater. We found another awesome backdrop inside the theater. My "Voilet" and "Dash" ready for the movie. 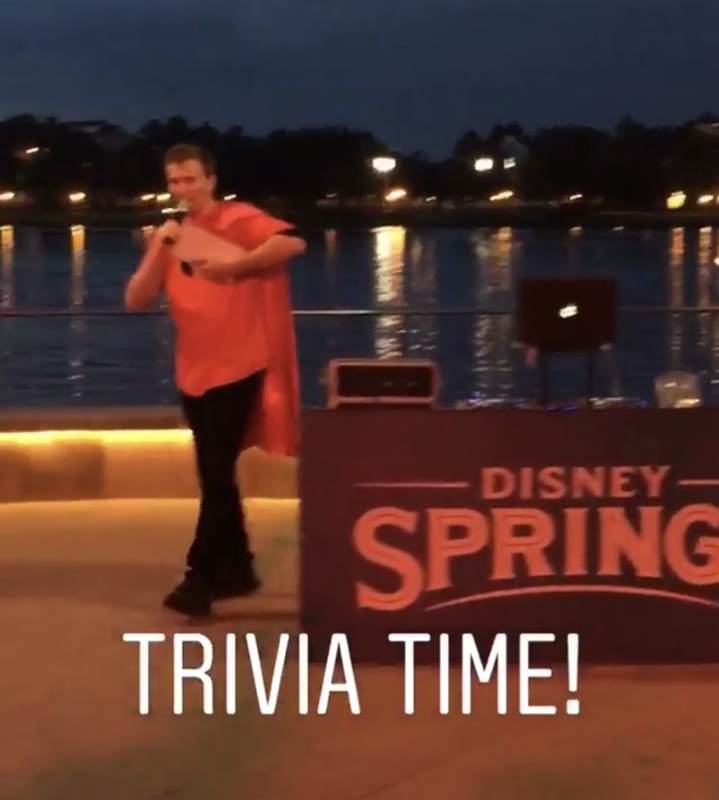 Opening weekend included additional backgrounds for pictures around Disney Springs as well as a fun trivia contest (where we won 2nd place! ).